We are very proud to announce that the Jackie Spellman Scholarship Foundation is now a section 501(c)(3) organization under the Internal Revenue Code. Our Tax ID number is: 27-1038085. All contributions to the foundation are 100% tax deductible as of now. Click HERE for a copy of the exemption approval. The VERY successful Golf Tournament will become an annual event as it will continue to be our primary source of funds for the scholarship foundation, as will a Soccer Tournament in memory and remembrance of Jackie. Other fundraisers will be held throughout the year, be sure to continue to check the website or Facebook for any upcoming events. 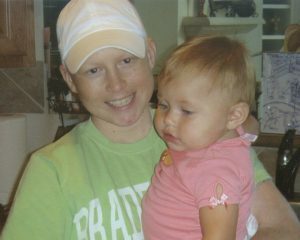 The purpose of the Jackie Spellman Scholarship Foundation will be to offer scholarships to students in need of financial assistance due to the extreme financial burdens of leukemia within their family, and to help them in pursuit of their educational goals. Donations can be made to the Jackie Spellman Scholarship Fondation that is hosted by Lowery Bank. The address and account number is listed on the “donate” page/tab. Those seeking more information about the foundation or how you can help, feel free to contact us at: jackiespellmanfoundation@gmail.com or at 888-553-JSSF (5773). We appreciate all the people who have utilized this site for Jackie’s benefit. New events have been listed in accordance to the latest news. Thank you all again for your continued support, love, prayers, and compassion during such a trying time in all of our lives.